The Investor Pulse Poll also showed that high-net-worth couples are collaborating on big financial decisions such as retirement. Two-thirds of high-net-worth couples make important financial decisions together, Morgan Stanley found. Affluent investors are optimistic about prospects for the U.S. economy, and are even more bullish on the prospects for their own investment portfolios, according to a new Morgan Stanley Investor Pulse Poll released Tuesday. 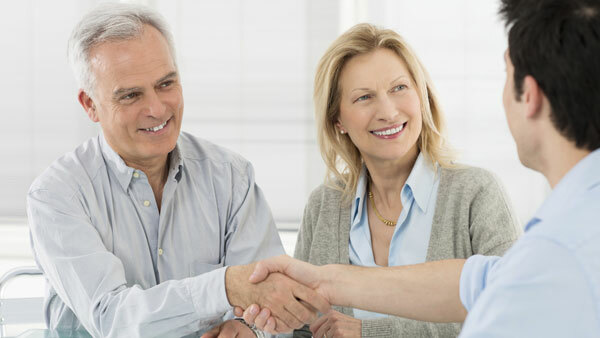 The poll also revealed that both financial advisors and their high-net-worth clients today understand the importance of collaboration in financial decision making between married couples or those in a domestic partnership. Morgan Stanley surveyed some 1,000 U.S. investors ages 25 to 75 with at least $100,000 in investable assets between May and July. A third of the households had assets of $1 million or more. The sample was representative of 94% of total U.S. household investible assets, according to a statement. Seventy-one percent of wealthy survey participants believed the U.S. economy would be the same or better 12 months from now, and 87% had a similar outlook for their local economy. And 90% expected their investments to perform the same or better in a year’s time. Still, debate continues over how long and durable the current bull market will be, and the effect and timing of higher interest rates, Gregory Fleming, president of Morgan Stanley Wealth Management and Morgan Stanley Investment management, said in the statement. “It’s no surprise, then, that two-thirds of high-net-worth investors say they rely on a financial professional for advice and guidance,” Fleming said. The poll found investor bullishness spanning eight top markets it targeted. In San Francisco and Chicago, 79% of survey participants saw favorable prospects for the national economy, followed by 77% in the New York Tri-State area, 73% in Boston, 72% in Los Angeles, 71% in Denver and 67% in Atlanta and Houston. Ninety-six percent of Houston investors were bullish on the local economy, as were 91% of those in San Francisco, 90% in Denver and Atlanta, 88% in Boston, 85% in Chicago and Los Angeles and 78% in the New York Tri-State area. On the outlook for their household investment portfolios, 95% of Los Angeles investors were bullish, followed by 93% in Houston, Chicago and Atlanta, 92% in Denver and San Francisco, 90% in Boston and 89% in the New York Tri-State area. The poll found that 66% of high-net-worth individuals in a marriage or domestic partnership made joint financial decisions with their spouse or partner, and this was particularly true on matters related to retirement. “The days when most financial decisions in a household were made unilaterally are clearly over, and financial advisors recognize this fact,” Shelley O’Connor, head of field management for Morgan Stanley Wealth Management, said in the statement.